The Vacation Rentals Management Software by Vivaresa is a perfect solution for the needs of property owners, real estate agencies and landlords. You have a property or a portfolio of properties that you want to rent out for holidays. This could be your full time occupation, or something to supplement your regular income. Maybe you’re trying to build up a business which will give you some extra income in your retirement. Whatever your particular situation, there are a number of things you need to think about to make your rental business successful and keep your guests happy. 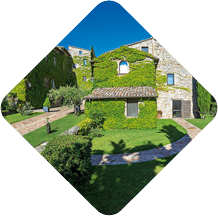 The software for vacation rentals management by Vivaresa will surely help you with that task. You can Try the Free Demo or you can call us at 020 3746 1500. It’s no good having your properties all ready for guests if they don’t know about them! We’re talking advertising here. A website is the way to go. It needs lots of pictures, not too much text, and potential guests need to be able to get a clear idea of the sort of holiday they can expect. Beach or mountains? Adventure or secluded country retreat? Make sure that it’s easy for customers to find the information they need, like prices, availability and travel information. Make it easy for them to contact you through the website. Speed is all important here. Your potential guest might have sent off half a dozen emails, the faster you get back to them the more chance you have of securing the booking. You can set up an auto response, but you also need to give them a specific answer quickly. Set things up so that you know when an enquiry comes in right away. Arrange for email alerts or check your site regularly. 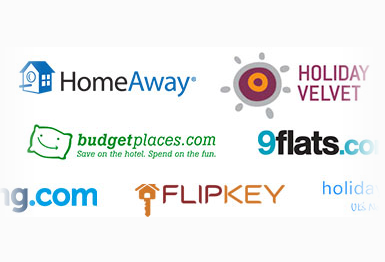 Vacation rentals management software from Vivaresa keeps track of all your reservations. You don’t want to double book. You do need to know what deposits have been paid, how much is still owing and when it’s due to be paid. It’s easy to lose track of this stuff if you’re managing lots of places, or even have just one or two but another full time job too. This is pretty easy for a single property where you do the cleaning and checking in yourself. For larger businesses, with properties spread around different places it gets more complicated. You don’t want your guests to turn up to a dirty place or get there to find that the person due to give them the keys is nowhere to be found. There’s a lot to manage and one way to make it easier on yourself is to invest in some vacation rentals management software. However many properties you have there will be a system that suits you, the better ones will allow you to do everything from designing and marketing your website to displaying your guests comments on their holiday after they’ve gone home. Try the demo of Vivaresa’s system or contact us at 020 3746 1500. You will save your time and manage your business more easily with a product like Vivaresa’s vacation rentals management software. Vivaresa is amazing. Cost-effective, high-speed, easy to use and a real time saver. Support service is unmatched in this industry no matter what the issue is. I don’t know how I operated my business before Vivaresa. Thanks!